When Ford decided to create a modern homage to its legendary GT40, it didn’t use any half measures. 2004's GT was effectively a 100th birthday gift to Ford and its followers and served as a halo model until production ended in '06 with 4038 cars built. Today these GTs are becoming sought after with values rising fast, but better than a regular cooking GT is the rarified Heritage Edition. One of these 343 Gulf colour schemed examples is heading to Barrett-Jackson’s 2019 Scottsdale event. When launched the Ford GT was an instant hit, capturing the imagination of fans and impressing the world’s automotive media. 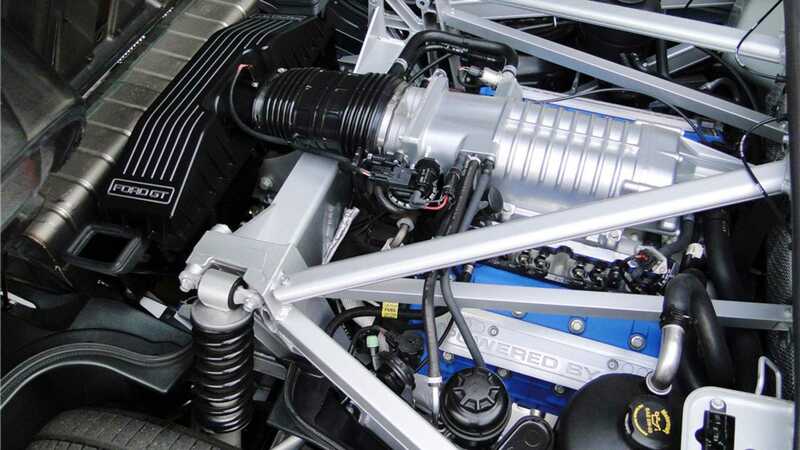 Its mid-mounted 5.4-litre V8 engine gave it 550bhp and a swift 0-62mph time of just 3.9 seconds. A manual gearbox and lack of driver aids made it a hit with real driving enthusiasts. 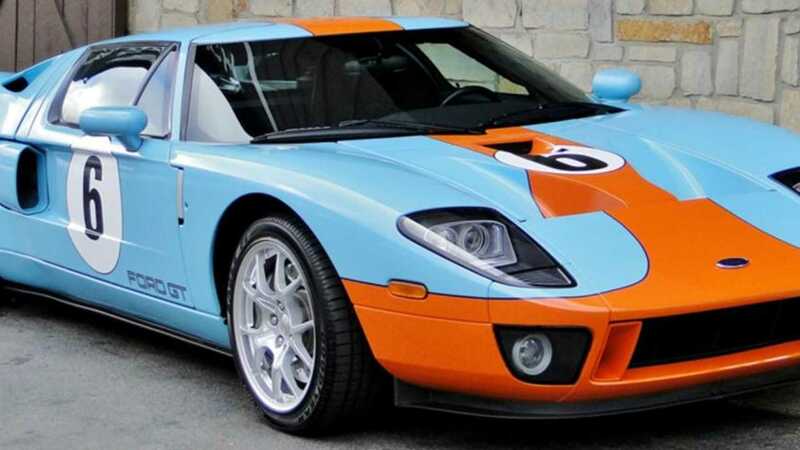 Fun fact: One of the reasons the reincarnated Ford supercar wasn’t called the GT40 is because it sits at 43-inches tall, and GT43 just doesn’t have the same ring to it. The Heritage Edition was a limited run of cars that featured the iconic Gulf racing livery. Not only does the colour combination of sky blue and vibrant orange look great on a GT, but it also has historical significance. Gulf sponsored the GT40 driven to 1968 Le Mans 24 Hours victory by Pedro Rodríguez and Lucien Bianchi against Porsche's 907s and 908s. The moment that GT40 crossed the finish line, the colour scheme was immortalised. Just 343 GT Heritage Editions were built worldwide, with this example being number 335 — one of 50 originally sold in Canada. While mechanically identical to other GTs, Heritage cars received that handsome paintwork and a new set of BBS alloy wheels. This original car has those attribute present and correct, along with its accompanying documentation. It appears in great condition having only covered 3092 miles from new. 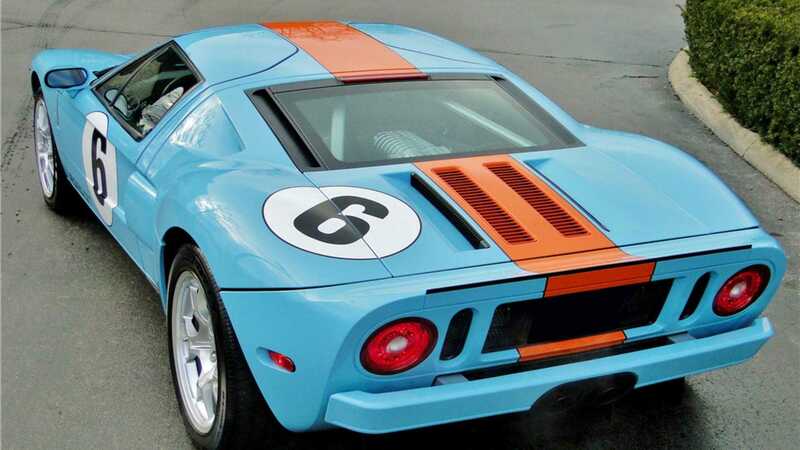 Last year Ford also began to offer a Gulf liveried Heritage Edition on its latest generation GT. They say that 13 is an unlucky number, but we think lot 1313 at Barrett-Jackson’s Scottsdale auction will prove very popular. 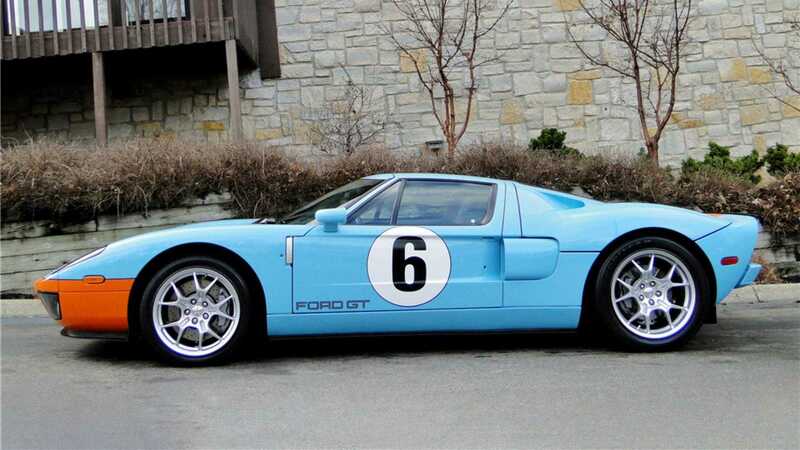 A Ford GT Heritage Edition sold for $412,000 at a 2018 Bonhams auction.